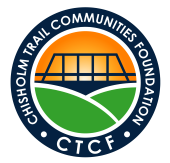 The Board of Directors of the Chisholm Trail Communities Foundation (CTCF) has awarded the 2018 Arts & Culture Grant of $10,000 to the Georgetown Festival of the Arts! The Award was a joint venture between CTCF (providing the fund) and Seeds of Strength (participating in the evaluations), and was officially announced at the SOS Fall Luncheon on September 27. Nonprofits focused on Arts & Culture enrich the lives of our community in so many ways, and CTCF is honored to support the Georgetown Festival of the Arts. Seeds of Strength is one of the Donor Designated Funds administered by CTCF, and is a philanthropic women's giving circle in which members come together to enrich lives in the Georgetown community.